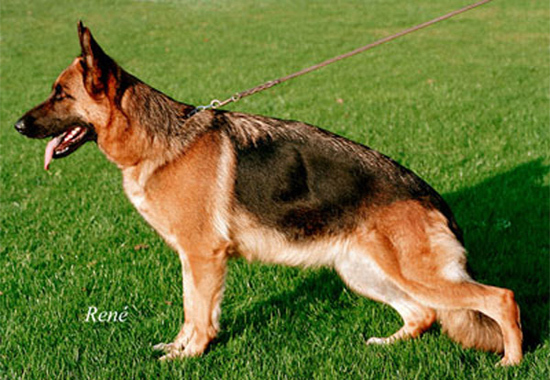 KOER REPORT: 2005 Sieger show report: The dog is largely, strong and expressionful. It is very drying and firmly. Altogether very harmoniously and in very good elevator length relationship developed. High Withers, firm back and good croup. Correct front. The front central foot should be tauter an idea. In the back and in front straight stepping. The gait is far expenditure-maturing with free precedence and very effective supply. A dog, which always falls by its very good presentation in the eye. Breed value 76.